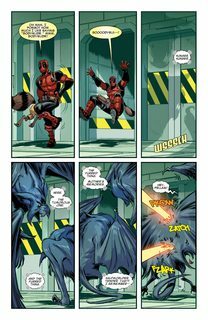 In an attempt to get revenge on his bounty hunting archenemy, Macho Gomez, Deadpool has set a trap! 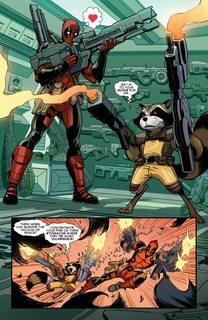 But he’s also managed to snag one very tough space faring rodent: Rocket Raccoon! 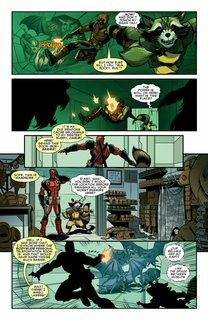 Now the two mercs have to stand each other long enough to navigate a maze filled with some of the most dangerous critters ever to drop guano on the Marvel Universe: THE DRAKILLARS!